Fourteen-year-old Ed Clayton is a liar. It started when his dad went to prison and now he can’t seem to stop. When Ed’s younger brother, Sam, goes missing one day under his supervision, nobody believes him when he says he can’t remember what happened. Things begin to go very wrong for Ed’s family when his mum loses her job and they have to start using a food bank. 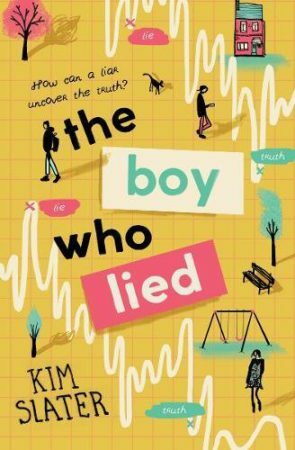 Ditched even by his best friend, Ed is on his own trying find out what’s happened to Sam, until he meets Fallon, a new neighbour who’s willing to help him unravel the mystery. The two stumble on a secret even Ed could never have imagined. But nobody will ever believe a liar . . .